Can Flowers Really Reduce Stress? According to recent scientific studies, flowers really can be used to help diminish stress levels. If you're feeling a tad overwhelmed by things in general, a pleasant whiff of fragrant plants such as lemon, mango or lavender can actually transform gene activity and blood chemistry in such a way that stress leves are notably lowered. Scientists in Japan have been hard at work exposing lab rats to stressful situations, and then monitoring their reaction both with and without linalool, a naturally occuring fragrant plant oil. Elevated levels of neutrophils and lymphocytes, associated with feelings of stress, were returned to almost normal levels when the rats were inhaling linalool. These findings may be used as the premise for new blood tests used to single our particular fragrances suitable for soothing stress. These findings may not come as a huge surprise; flowers have always been associated with feelings of well being, both physical and emotional. We send flowers to wish speedy recovery to our loved ones in convalescense, we send flowers when we need to say sorry or express matters of the heart. There have even been studies which have linked flowers with increased levels of happiness and amiability. So it should come as little surprise that science is finally confirming the beneficial properties of flowers that we have always suspected. At Clare Florist, one of the most famously fragrant varieties of flower that we supply are Freesias. The distinctive aroma of the freesia flower will enhance any setting and adds an extra sensual treat on top of the beautiful appearance of the flower. Available in a variety of gorgeous colours, freesias lend themselves well to an assortment of different occasions, from birthdays and anniversaries to get well soon gifts. 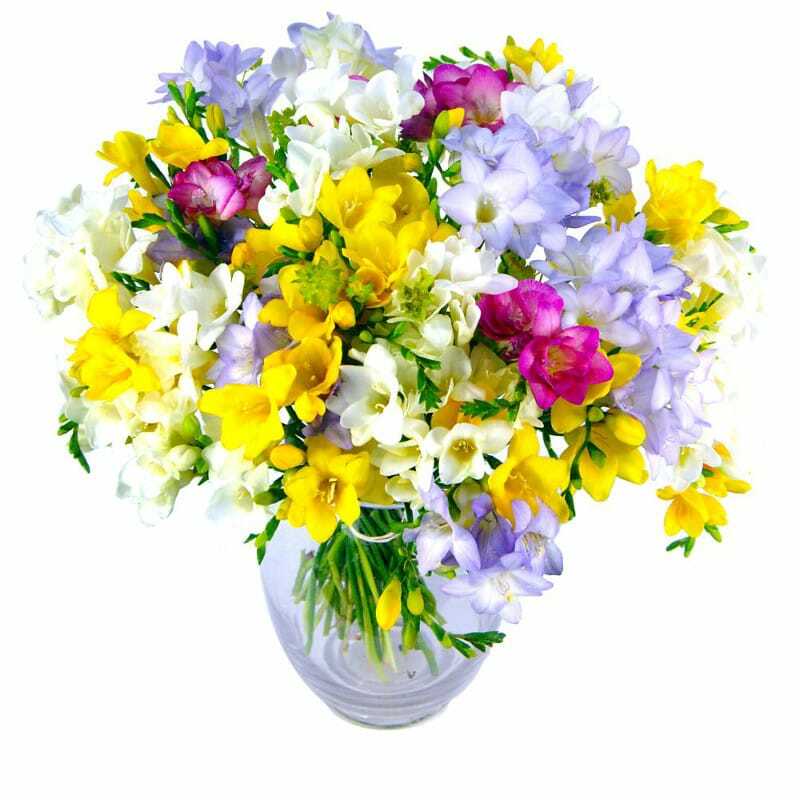 Our popular Freesia Fragrance bouquet artfully combines various colours of freesia including pink, yellow white and lilac to eye-catching effect. This visual sensation combined with the delightful aroma of the bouquet ensures that it will always be a well-received gift!